Oi, Oi, Oi Melbourne! 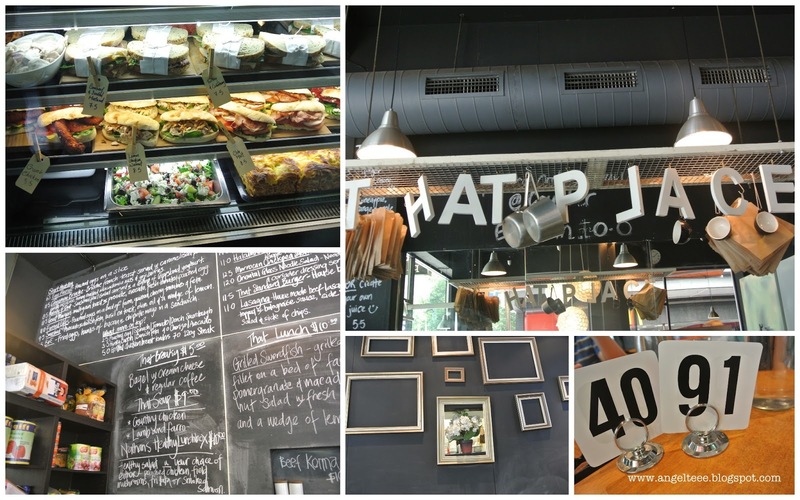 Melbourne is practically bustling with restaurants and cafes! Good news for foodies and those who are always up for a food adventure. Big smiles and happy stomachs, guaranteed! For breakfast, we went to this great breakfast place a block away from our hotel. The hotel staff highly recommended That Place Cafe, and well, we just had to be there to see what the fuss is about. I loved it right away - it was homey, quaint, with a hint of shabby chic. It was someplace where you can hang out and chill and feel comfortable and feel at home at. And did I just mention that I soooo love the details of the cafe? The food was not bad too. hot chocolate, latte and egg-ham-and-cheese on sour dough, fresh fruits! For lunch, we went to Schnitz. The schnitzel is one of my favorite European food, from Vienna, to be exact! So when L's sis recommended Schnitz for lunch, I had already envisioned schnitzels in my mind, and oh-what-a-joy it was to be reunited with schnitzels again! 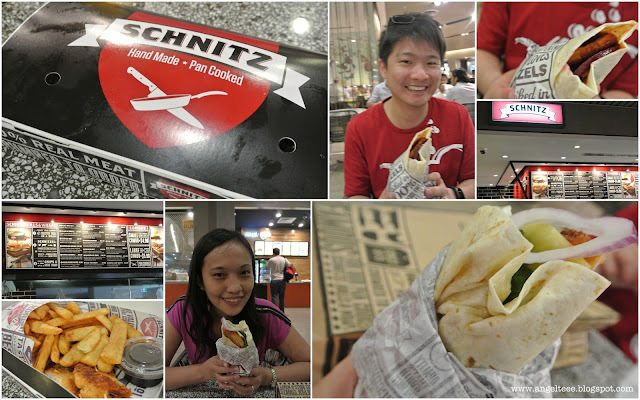 I love their take on schnitzels - you can eat it on its own, or have it on a wrap or in a bun! And you can dress up your schnitzel with a lot of options - lettuce, cheese, tomatoes, mustard, bacon, egg, pineapple, and a whole lot more so the plain old schnitzel will never turn out to be a bore. Not that a schnitzel's plain and boring, by the way. J reasoned that he might as well try Aussie, Aussie, Aussie because we were in Australia. It had cheddar cheese, rindless bacon, egg, BBQ relish and beetroot. And because I'm boring (and partially because I was under pressure to choose what to order from the the many choices presented in the menu), I had mine stripped down to the basics with a Plain & Simple wrap - a schnitzel with tasty cheese, baby cos lettuce, spanish onion, tomato and mayo. 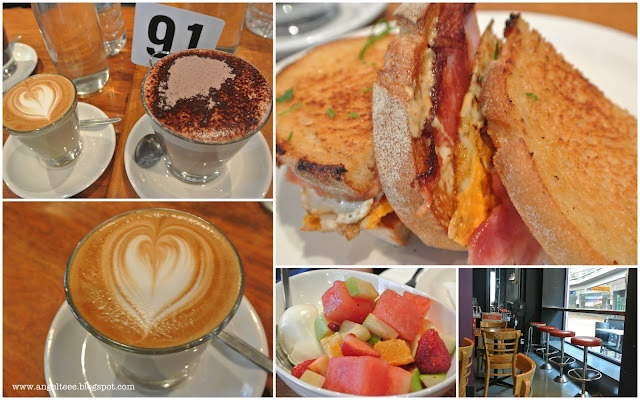 At around AUD10 each, it got us very full and satiated and it was well worth it. Too bad we only had a few days in Melbourne, because definitely, would have wanted to try the other choices as well. happy and content with our schnitzels on wraps with chips on the side. That's it! A quaint cafe and a taste of Germany in the heart of Melbourne.